Among other cultural priorities from the old capital of Moldavia, a special place is occupied by the setting up in Iasi, in 1856, of the first botanical garden in Romania, by doctor and naturalist Anastasie Fatu, a great patriot, philanthropist and man of culture. The existence of the Botanical Garden of Iasi has a troubled history that has undergone a period of over a century to become as we see it and admire it today. For many years, until the death of the great scholar Fatu, the Botanical Garden was an important cultural center for the students fromIasiwhere they were able to study botany but also a means of training and education for all nature lovers. 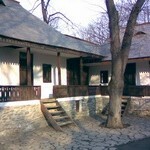 In 1873, the Society of Physicians and Naturalists of Iasi set up a second botanical garden, near the old one. The task of organizing it is given to Demetrius Branza, and most plants were donated by Anastasie Fatu. Some of the plants donated then can still be found today in the courtyard of theMuseumofNatural History. In 1870, the University “Al.I. Cuza” decides to build a botanical garden itself, on the space of theInstituteofMedicineand Pharmacy, which is extended in 1876. But because it does not meet the standards of education, plans are made to organize another one behind thePalaceofCulture. 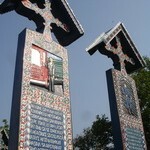 However, this one is not completed for lack of funds, and later because of the First World War. Thus, in 1921, Professor Al. Popovici established a new botanical garden behind the building of the new university where he also builds small greenhouses used for the growth of tropical plants. This location is kept for more than 40 years until 1963. That year, they decided to move the garden in the current space, on the Copou Hill, so as to meet the educational requirements. 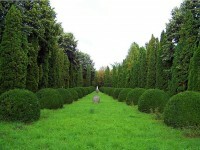 Today, the Botanical Garden of Iasi covers an area of ? ?approximately100 hectares. The Greenhouses sector comprises 12 compartments each with its specific: Mediterranean plants, tropical, subtropical (cacti, palm trees, banana, citrus, and so on), many ornamental flowers (azaleas, camellias, chrysanthemums, orchids, etc..) and a collection of cicadae (living fossils). The ornamental sector has an area of ? ?4.5 hectares and contains 2200 unique taxa or grouped in 25 collections. It has a wide range of ornamental plants, grass and wood, which is a permanent exhibition. 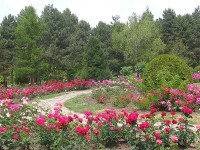 The rosary sector holds for 800 varieties of noble roses. Therefore, this botanical garden is like a piece of nature wrapped up as a gift for anyone who loves nature and its creations.